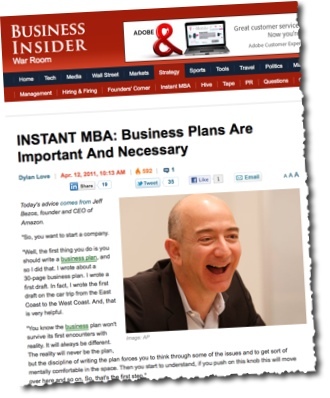 So my conclusion, from Jeff’s advice, is that developing a plan is good for your business, but sticking to that plan, not so much. Develop the plan, start moving, review and revise often. Keep it flexible. It’s a plan, not a document.